Once Again Jasprit Bumrah Takes A Wicket In No Ball !! 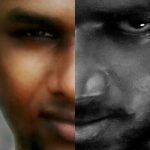 Became A Victim Of Massive Troll !! 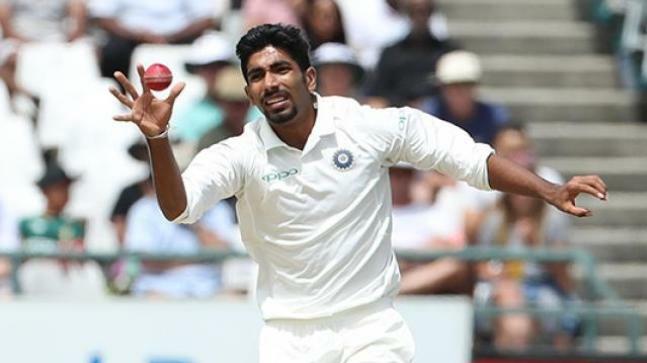 India pacer Jasprit Bumrah, playing his second game of the Test series against England in Southampton, was back with his known evil on Day 1 – a no ball at a critical time. The bowler’s overstepping denied the visitors a key wicket in the form of England captain Joe Root in the fourth Test. Bumrah, however, was the first Indian bowler to strike by picking up the wicket of opener Keaton Jennings after Root won the toss and elected to bat first. 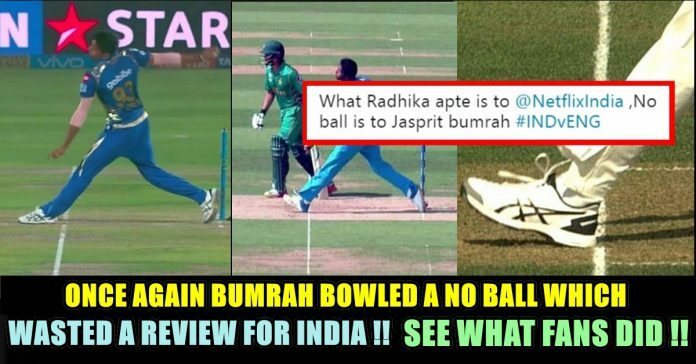 Bumrah’s yet another no ball did not impress the Twitterati with even the generally lenient cricket pundit Harsha Bhogle expressing his displeasure on the social media platform. It happened in the third ball of the fifth over when the bowler rapped English skipper Root’s pads and India went for an appeal. Umpire Bruce Oxenford shook his head at which captain Virat Kohli went sought a review. It was seen in the review that the bowler had failed to bowl a legal delivery by overstepping. 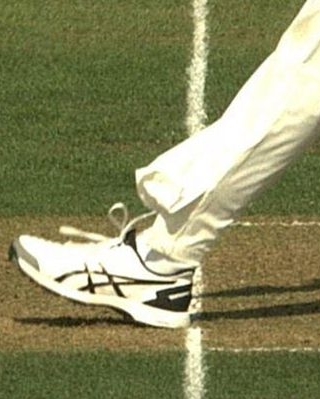 The decision would have gone in India’s favour had it been a legal delivery since there was no bat involved and the ball was straight on its way to crash into the stumps. 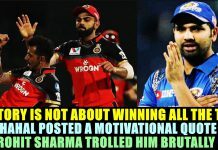 But it was Bumrah luck for India. India’s frustration did not last long though as another Bumrah’s opening partner Ishant Sharma cut short Root’s stay at the wicket by trapping him before the wickets for just four. England were reduced to 15 for 2 with opener Alastair Cook and Jonny Bairstow, who is not playing this match as a wicketkeeper but only batsman because of the injury he received at Trent Bridge, accompanying him. 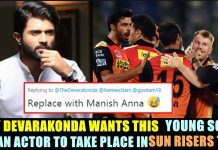 Though Root was gone giving some relief to Bumrah, yet the bowler was not spared by the Twitter users for his repeated offence of bowling no balls on the international stage. The right-arm pacer made an impressive return to the Test side by picking up five wickets in the second innings of the Trent Bridge Test but his no ball here early on Day 1 proves that he is yet to put the curse of his bowling back. Bumrah’s no ball cost us the champions trophy. Now i feel what jaipur police did was correct. Jasprit Bumrah just won’t put his act together. 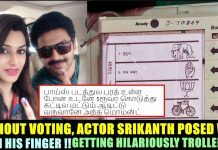 Previous articleZomato Tried To Troll NETFLIX For Casting Radhika Apte Repeatedly !! NETFLIX Once Again Proved They Are Troll Masters !! Next articleBeautiful Women Starts Flight Engine & Jumped Out Of Plane To Do KiKi Challenge !! SHOCKING VIDEO ! !